I´ve lived in Leiden since August 2012 and although every week I fall in love with a new thing I discover in our little town, there are some things that are still among my favorites despite of the fact I´ve seen it time and again…I still remember that I arrived on a Wednesday, had a friend pick me up on the train station and went to my accommodation at the time (the student housing in Hugo de Grootstraat). Once I had settled in, this friend started telling me a little bit about Leiden, where the supermarkets were etc…and then, she told me about the openmarkt! There is one every Wednesday and Saturday at Nieuwe Rijn (Leiden´s main canal in my opinion). The Wednesday one is pretty much a smaller version of the Saturday one, with less stands and people. It is ok if you are looking for fresh stuff etc, but nothing compares to the Saturday one and its experience. 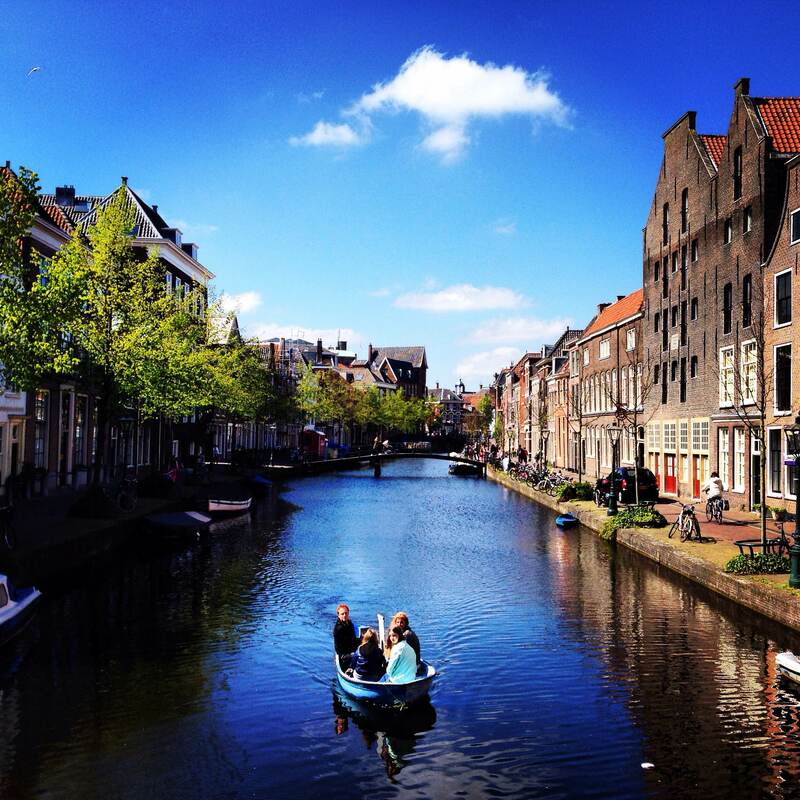 Seriously, isn´t Leiden perfect in days like these? Anyway, going back to the market and my love for it…You can find basically everything…from fabric, to bike accessories, to amaaaaazing cheese, sea food, fast food- markt style-, flowers, fruits and veggies…Well, that is pretty much any open market right? Yes, right…but this one also has some peculiarities that makes it even better…To be honest I admit I still haven´t found all of the tiny beautiful deals I´ve heard this market offers but I know, and use, two of them. Another cool Leiden market tip is the ‘1 euro bowl’. In the veggies/fruit stand in front of Dille and Kamille (on the right end of it to be more specific) one can find a great variety of things being sold by 1euro/ bowl…Yes, that is right…You can pick and choose from various bowls and any of them (regardless of what it is inside) will only cost 1 euro. Amaaaaazing right? The best advice for this one is to come early as the later it gets the more crowded and less things in offer it gets…. 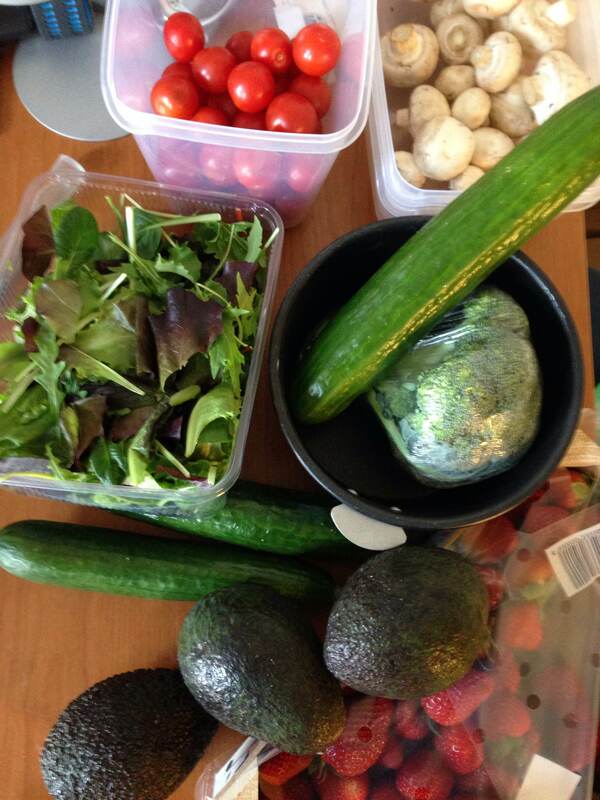 All of this for 8,50 (the strawberries evidently didn´t fit in a bowl and were 2,5 euros a box). Amaaaaaazing right? 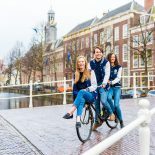 This entry was posted on April 19, 2014 by admin@theleidener in Living in Holland, Uncategorized and tagged leiden, open market, saturday, weekend.